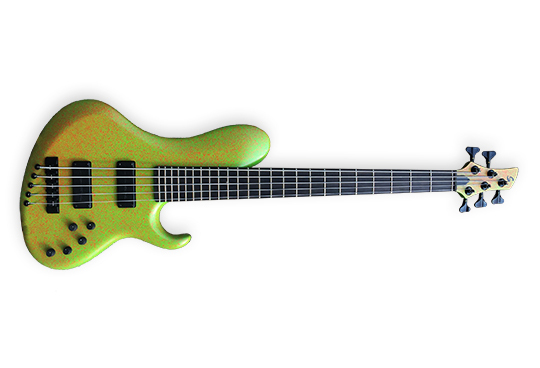 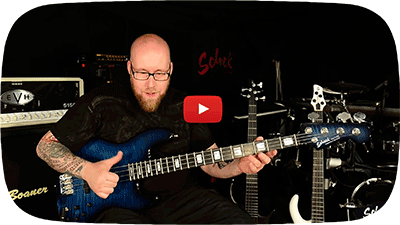 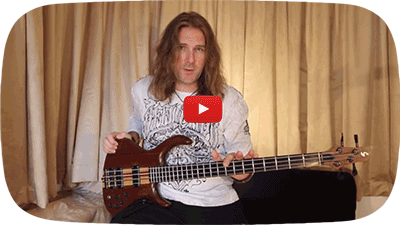 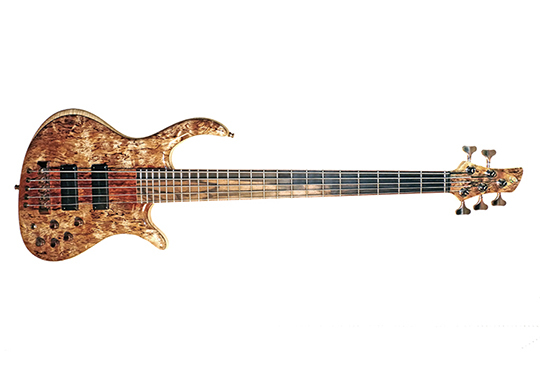 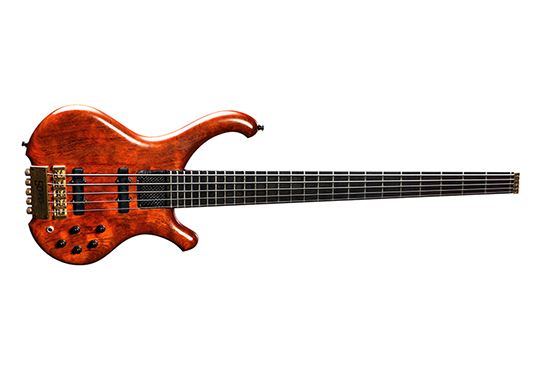 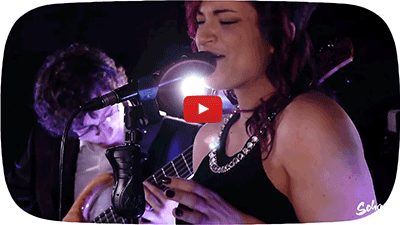 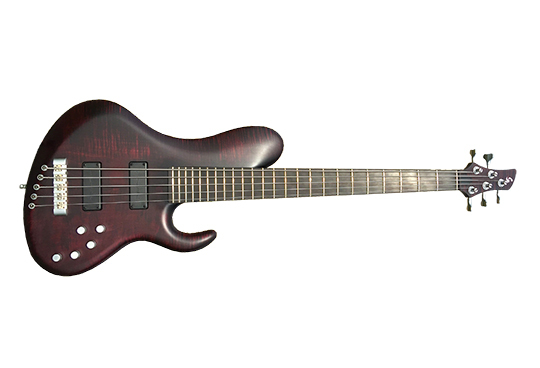 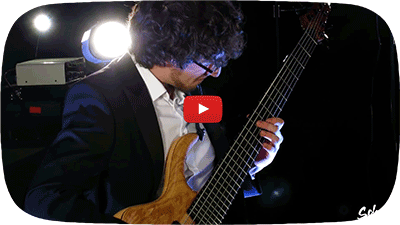 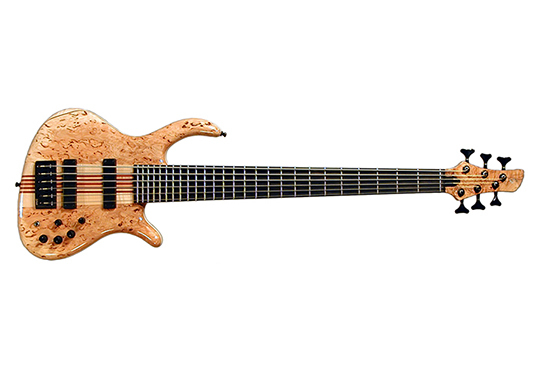 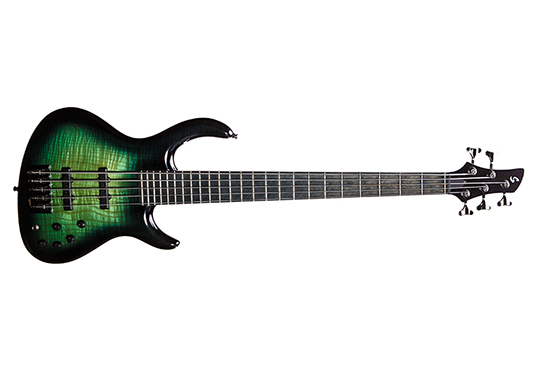 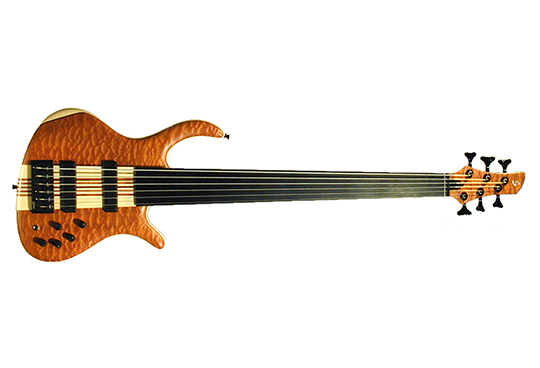 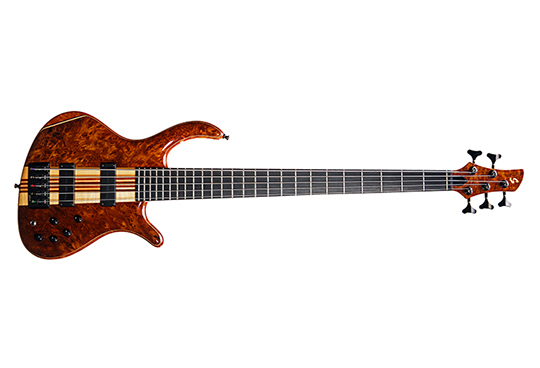 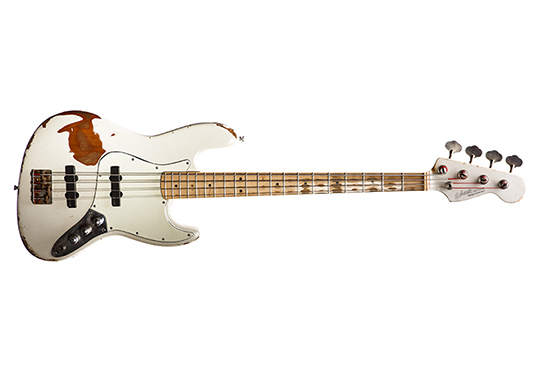 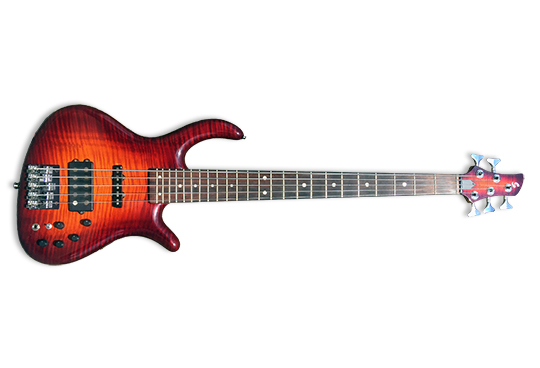 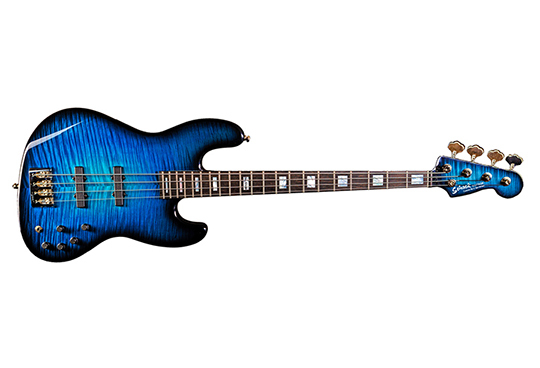 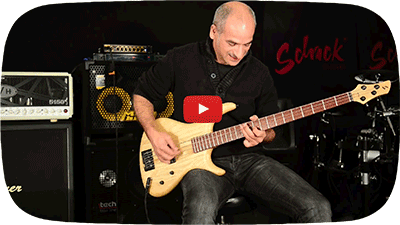 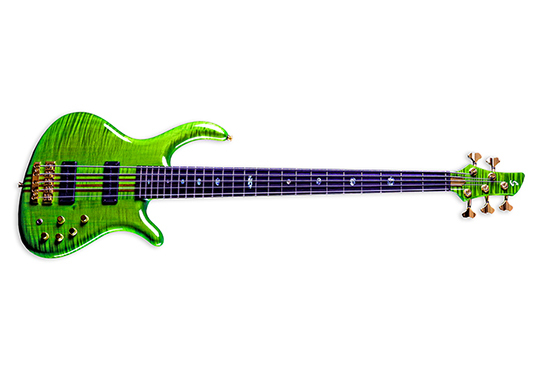 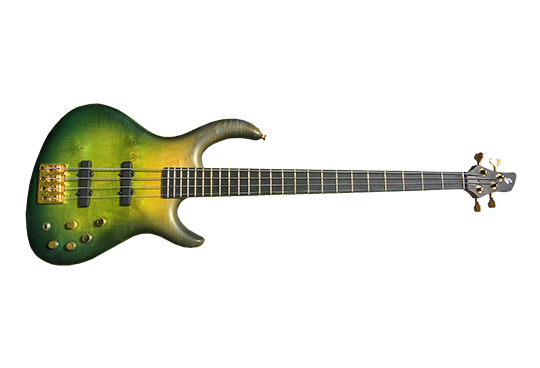 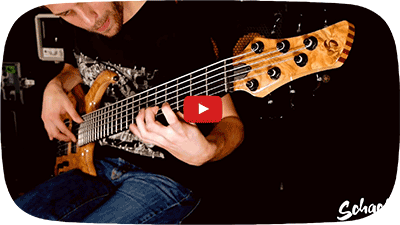 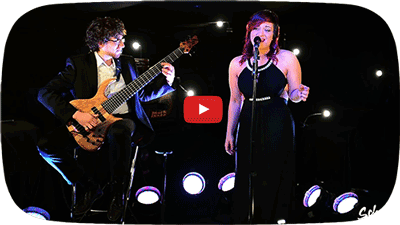 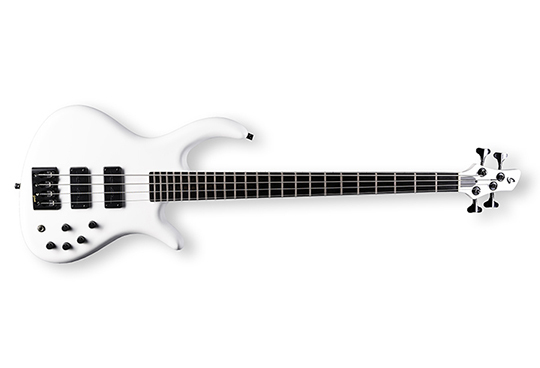 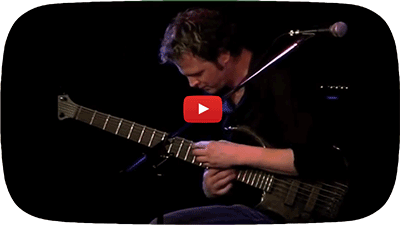 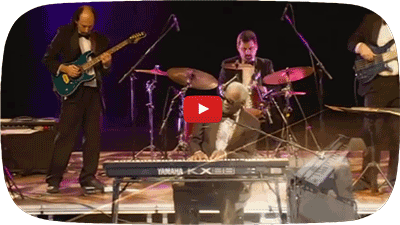 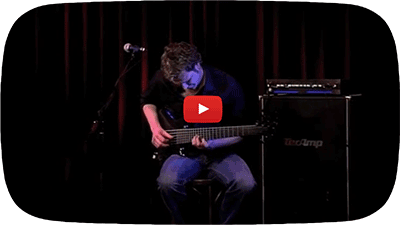 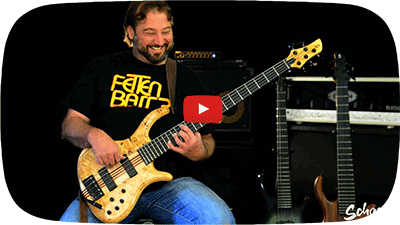 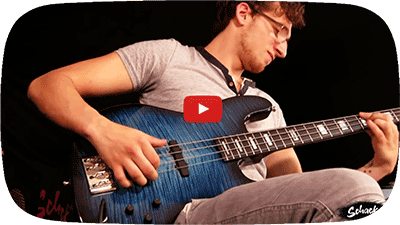 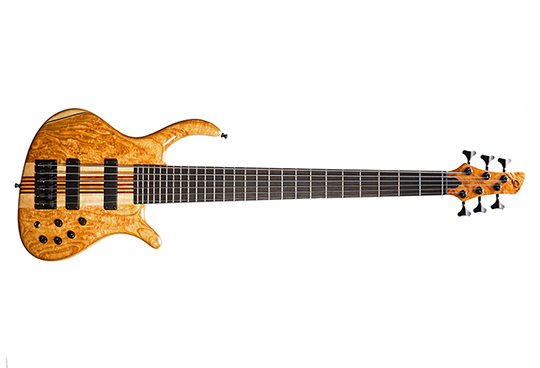 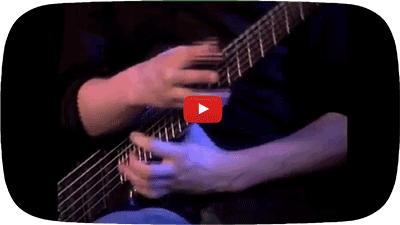 The Bass in the video is a Schack Unique V neckthrough with a 36″ Scale. 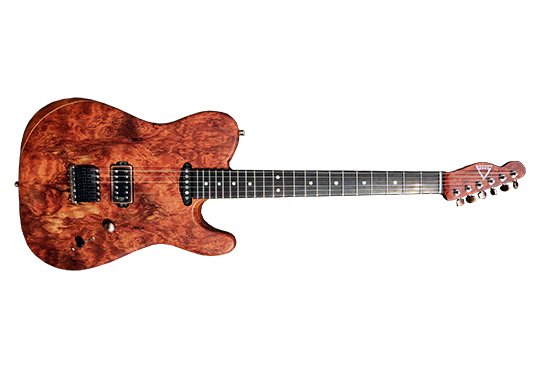 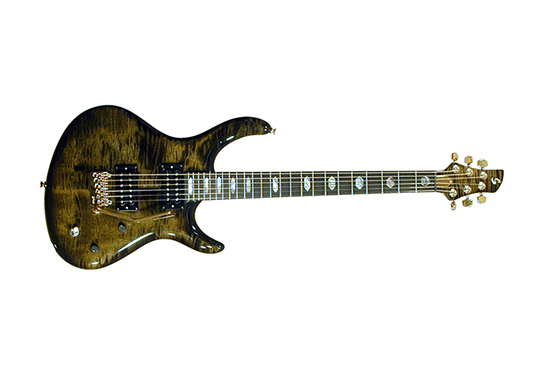 The body has a poplar burl top & back and a flamed maple center. 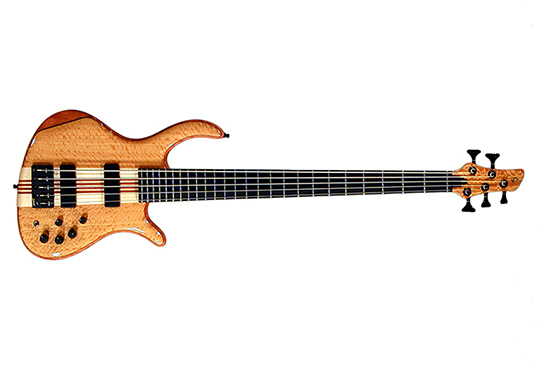 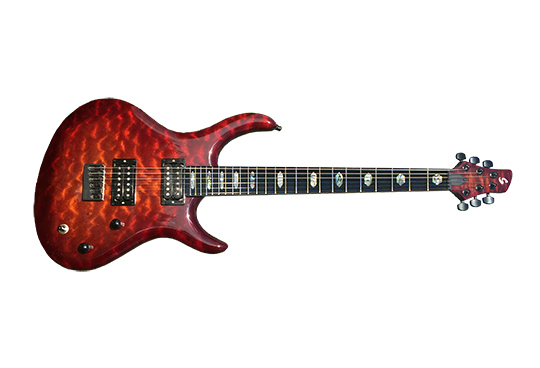 The neck is made of flamed maple with bubinga and maple stripes. 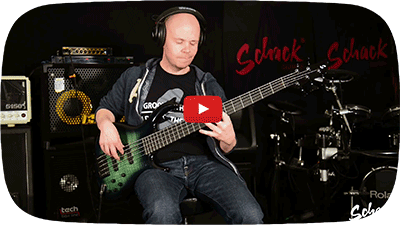 The Basstec soapbars work perfectly together with our Schack BC3P semi-parametric electronic with a 3-band-eq.